The Comforpedic IQ may very well be the most comfortable mattresses on the planet. Both are designed with your ideal sleep in mind – that’s why they have extra support where you need it most – including in the middle third of the bed, where most of your weight is distributed. There are also several layers of memory foam that conform to your body, which help to spread and dissipate heat – providing incredible support and unbelievably cool comfort all night long. 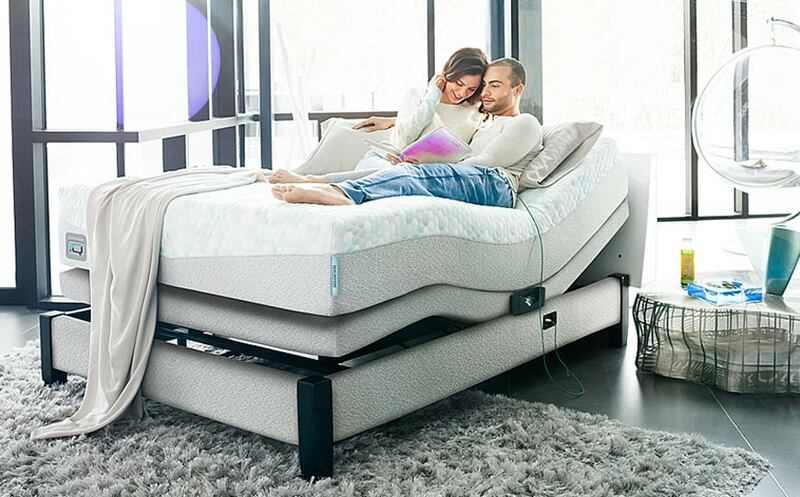 The Comforpedic and the Comforpedic IQ have been developed with you in mind, which means that every aspect of the mattress is designed to conform to your body and your unique needs. The AirCool Memory Foam, for example, is designed to help spread out the heat while the Independent Support Technology responds to the shape of your body and conforms to your pressure points. Ultimately, everything that goes into a Comforpedic or a Comforpedic IQ mattress is designed to make you feel better. It’s designed around people with materials that really work, keeping you cool and collected and undisturbed all night – yielding deeper, more rejuvenating sleep. That’s the Comforpedic promise. To see what all the fuss is about, stop in at the Mattress Factory and try it out for yourself. You’ll be amazed at just how comfortable and how relaxed it will make you. You might even catch some Zs while you’re here! We look forward to seeing you soon!